Stock # 40278513, Manual, 61446 mi. 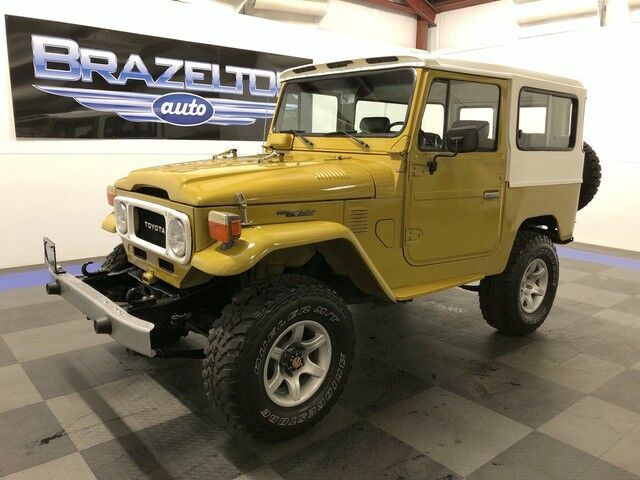 1978 Toyota Land Cruiser FJ40 with original 2F inline 6 backed by manual 4-speed transmission equipped with power steering front disc brakes, & power windows. New Weber carburetor with electronic choke, new distributor and wires, and new battery. The vehicle was imported from Columbia in 2014 and has a clean Texas title. It was refurbished in Columbia where they added the front leather seats and power windows. After being imported the interior was color matched LineX (no rust).